Today’s post is another episode of ‘things we actually eat all the time.’ I was stumped this weekend on what to share today and was about thisclose to throwing my hands up when I remembered that whole concept/thing about cooking with easily accessible ingredients I keep on hand all the time and quick fixin methods so that we can all be a bit healthier and happier, faster, especially during the meal time rush. That’s the thing that I love and grilled-chicken-Caesar-something is a dish that we eat weekly, in one form or another. When a recipe or ingredient combo repeats and cravings/excitement are still detectable, it’s time to share, no matter how simple it is. I’m excited to share more of those meals that are thrown together with regular pantry fare (and even some seasonal items), but still have an overall vibe of goodness too. Hope you can feel me on this. Big hugs and some fist bumps for everyday good eatin’. 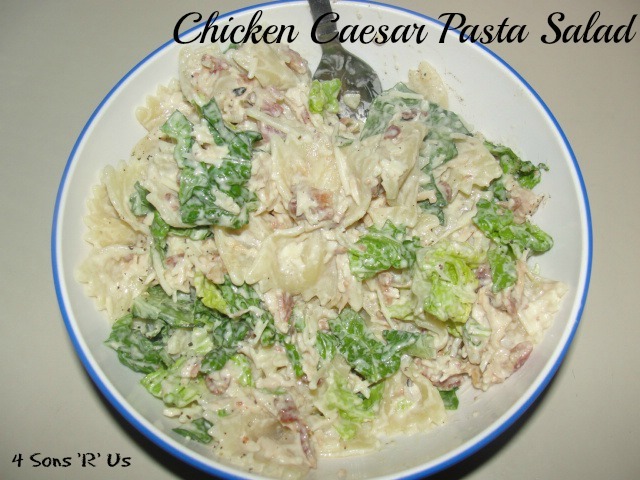 So, what’s better than a chicken caesar salad? 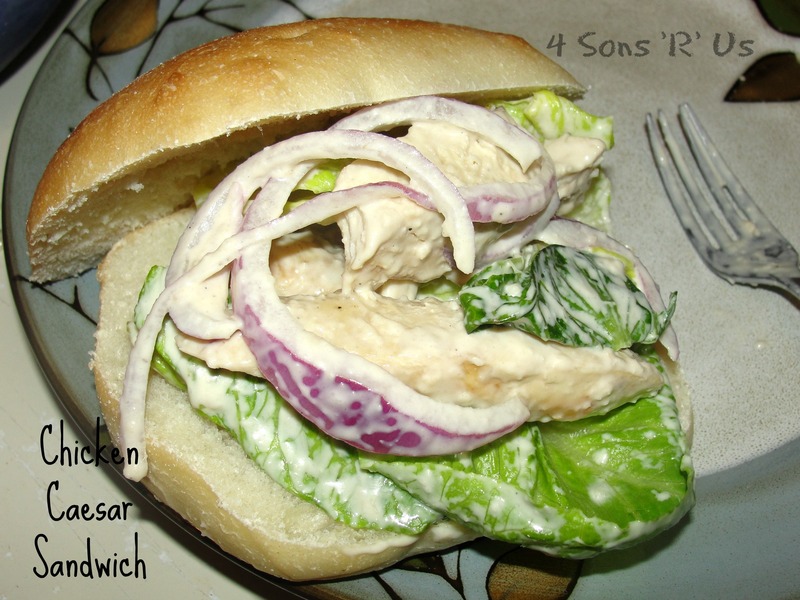 A grilled chicken Caesar sandwich on a fresh ciabatta, or torta, roll. These make a perfect lunch food without giving you food coma and it’s entirely customizable. Looking for a lighter dinner option? Grilled Chicken Caesar’s your guy. This recipe makes 4 solid-sized sandwiches. When we’re having it for dinner we double the recipe. Somehow, even when we’ve doubled it, there still aren’t ever any leftovers. But, if the sons are eating all their greens (with relish!) then that is fine by me. 1. 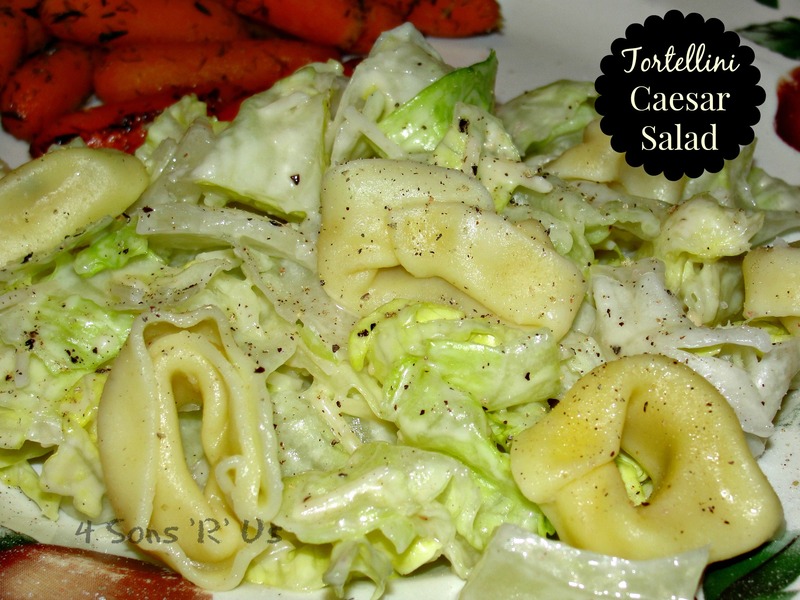 In a small bowl, toss the romaine lettuce with 1 tablespoon of your caesar dressing, and set it aside. 2. Season both sides of the chicken breasts with the desired amount of salt and pepper. Add olive oil to a large skillet and heat it up over medium/high heat. Add the chicken and cook, flipping once, until cooked through, about 3-4 minutes per side. Let the fully cooked chicken rest 5 minutes before slicing across the grain. For a more authentic taste, season the breasts and then grill until completely cooked before cooling and slicing. 3. 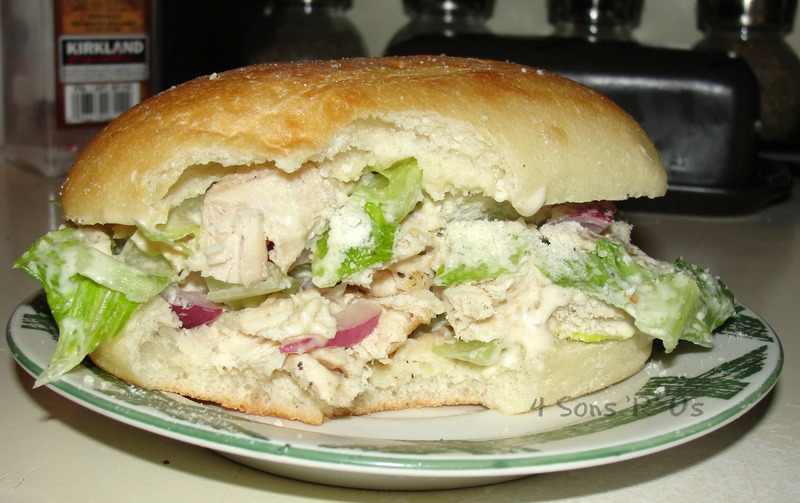 Serve sandwiches on ciabatta/torta bread with romaine lettuce, sliced chicken, red onion, Parmesan cheese and additional caesar dressing, each in your desired amount. Oh, now I am hungry for lunch and we are still a ways off from that! Looks delicious. Thanks for sharing a simple and healthy recipe! One of my friends makes a version of this sandwich on a giant round boule for parties- such a crowd pleaser!! Delicious! I love that you made caesar salad into a sandwich! It’s definitely going to be tasty and filling. Thanks for bringing this to Fiesta Friday! 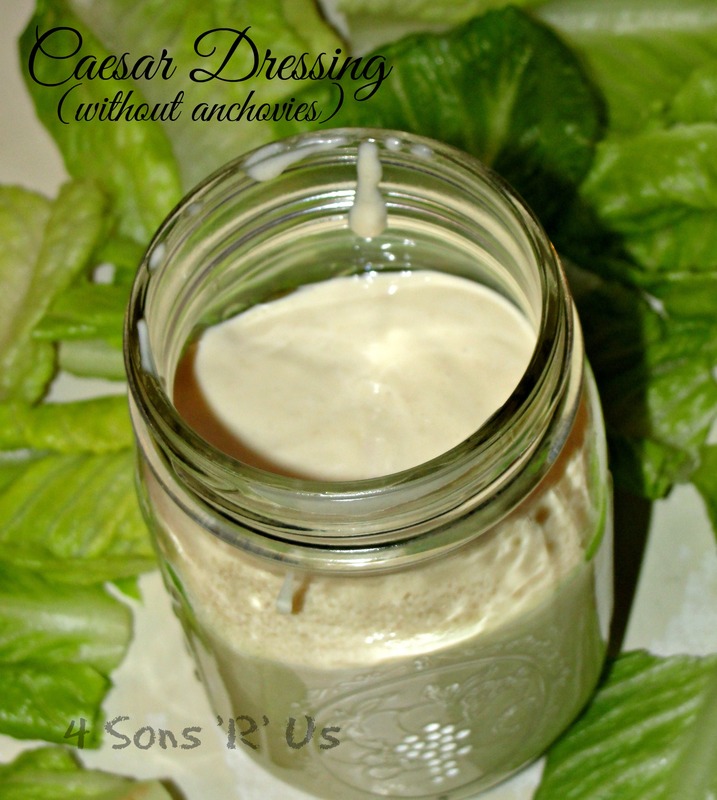 Caesar dressing is pretty much my favourite thing, this sandwich looks amazing!